Updates the relevant raw material or finished goods stock through all the steps, from raw-material receipt, to use in the plant and, ultimately, assembly into a finished product. 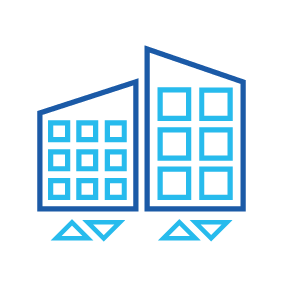 When stock moves from one location to the next, it decreases from its source location and increases at the destination location. Integrates with other modules that gather info to update correctly, such as the weighbridge module for the raw material received, or the batching module to update the raw materials used, and more. 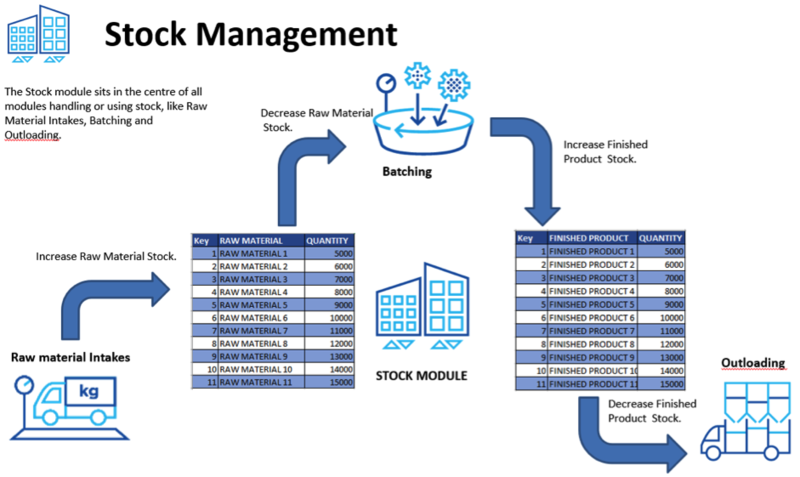 Live stock info enables production decisions and assists with stock-taking.